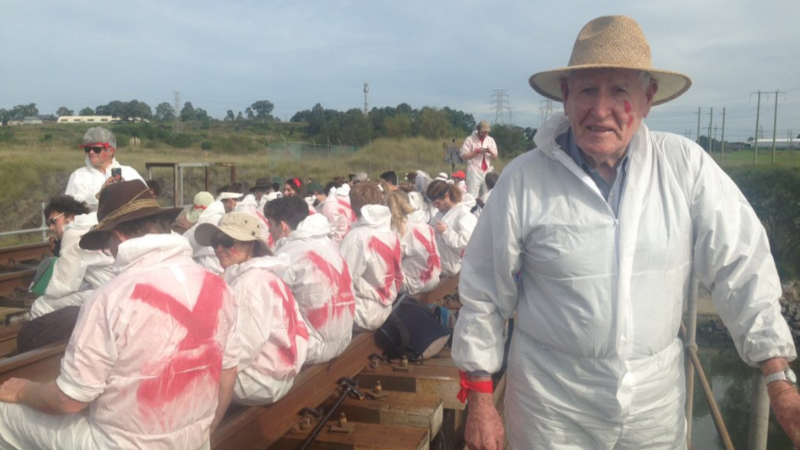 At least 57 people were arrested Sunday at the port of Newcastle, New South Wales, during a demonstration against coal exports. The protest, attended by 1,500 to 2,000 people, reportedly blocked sea and land routes in and out of the the world's largest coal port for part of the day. In a tactic seen often during protests of Shell's arctic drilling campaign in 2015, activists in kayaks positioned themselves across the harbor entrance, while others blocked a railroad bridge. There were no reports of commercial vessel traffic attempting to pass through the blockade. The Port of Newcastle told local media that coal export volumes were not affected. The port's PWCS coal terminal currently has a shorter vessel cue than in years past, attributable to lower Chinese demand, says Platts, and average offshore waits are down to two days. However, as of April 25 there were nearly 50 ships sailing for Newcastle with a notified arrival time, a positive indicator for forward demand. Bill Ryan, 94 years old and a veteran of the Second World War, was among those detained on charges of trespassing. "When I look at these young people I think of my own grandchildren and great grandchildren," he told the Newcastle Herald. He was involved in a similar protest at the port in 2010, and he said that police recognized him from the earlier action. First time protesters Burt and Layo Nathan, 64 and 66, also cited concern for their descendents’ futures in their decision to join in. Some local residents criticized the activist group for alleged harm to the local economy, including the loss of a visit by the cruise ship Insignia due to the disruption. Sunday’s protest was organized as part of the Break Free series, a planned set of parallel climate actions worldwide. Associated protests include an upcoming event May 13-15 at the March Point refineries in Anacortes, Washington.